Six colour stories: big waves to ride. Immense. A mahoosive book of cheeky colour comic strips. 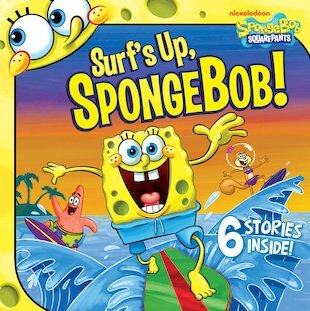 What will happen when SpongeBob goes surfing with Sandy? Or when he bumps his yellow head and – ooops! – forgets who he is? Find out in this breezy story collection all about our square-panted hero. It’ll have you coasting on waves of laughter!